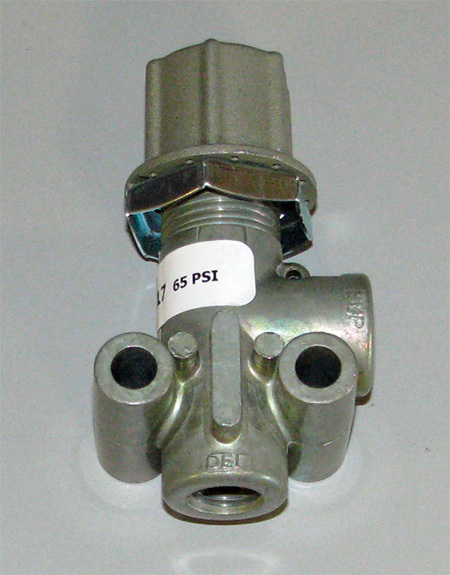 PR-2 pressure protection valve for the M939 series. P/N 11669104, 279505. NSN 4820011147543. Closing pressure 65 PSI. 1/4 inch pipe thread ports on inlet and outlet. For an alternate style protection valve used on some trucks see 12450226.